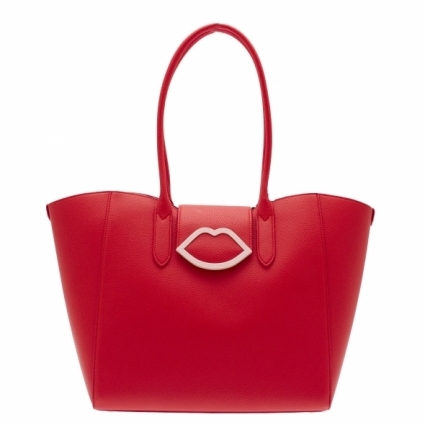 Add a pop of colour to your handbag hoard with the Sofia bag by Lulu Guinness. 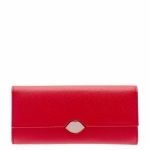 This shocking scarlet bag features a fold-over strap fastening with branded embossing to the back and the brand's signature lip motif to the front in a contrasting pastel pink shade. 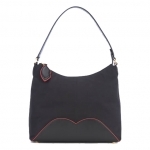 The stylish piece opens to reveal a spacious interior lined with the label's new 'Beauty Spot Confetti' print, as well as a small inside pocket with branding to the front. Add the matching purse to complete the set.